Pope Benedict has heard the Word of God addressed to him. While not an overt Marian expression, as he would later call on Mary directly, nevertheless, we must never forget that Mary is the Mother of the Word. She is the Mother of Jesus Christ, who is the Word made flesh. Mary, of course, provides us the perfect model of one who constantly reflected upon the words of Christ in her heart. She perfectly heard the the Word of God in her life, and now like Mary, Benedict has heard the Word of God, and now prepares to enter into solitude, in order to ponder the words of Christ in his own heart. In his direct Marian reference, Benedict encourages us to call upon Mary so that she may help us to always follow the Lord Jesus in prayer, and works of charity. As mentioned already, Mary is the perfect model of prayer. She persevered with the Apostles in the Upper Room (Acts 1:14). 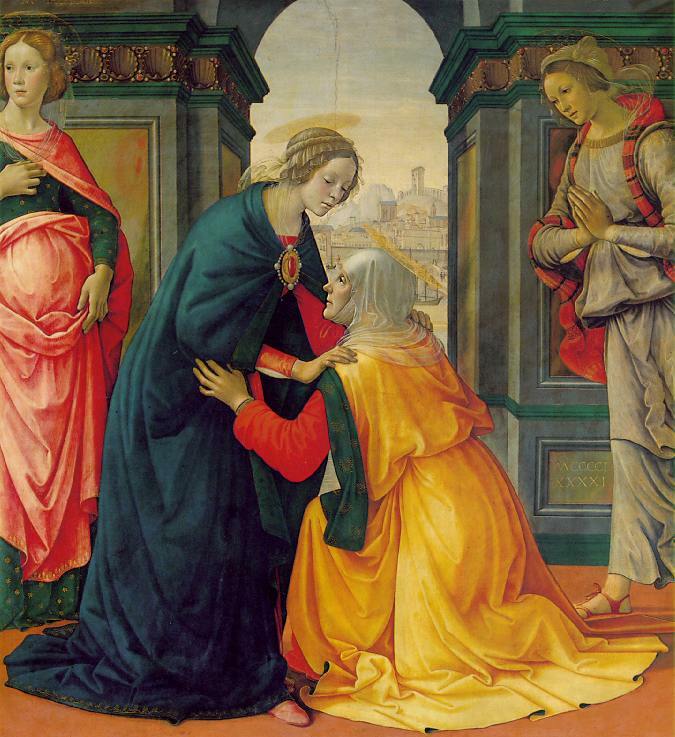 She prayed her great Magnificat, in which her soul rejoiced in God her savior, and she marveled at all the wonders God had done in the life of Israel. Furthermore, Mary is a model of one who performed works of charity. She went in haste to care for her kinswoman Elizabeth (Luke 1:39) who was miraculously with child. She requested Jesus to perform his miracle at Cana, as an act of charity toward the couple. Mary always was concerned for the other person. Mary provides us an example that can be imitated. She prayed and performed works of charity. Let us call upon Mary, so that we too can more faithfully be people dedicated to prayer and service to our neighbor.